La Presa is close to the Adriatic coast, with two natural beaches, Bocassette and Bariccata, within 25 km of the farm. 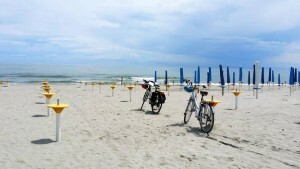 The beaches are serviced with cafés and public WCs and showers in summer. In the cooler months Bariccata beach is closed but Bocassette beach offers a wonderfully secluded location for long walks or horse-riding.